Zebra ET55 - 8.3" Display, Win8.1, Intel Z3795, 4GB RAM, 64GB Flash, Americas WAN, Power supply sold separately. Single slot charging cradle (Part# CRD-ET5X-1SCG1) requires power supply (Part# PWR-WGA12V60W-1WW) and AC Line Cord (Part# 23844-00-00R). Quad charging cradle (Part# CRD-ET5X-SE4CO1-01) requires power supply (Part# PWR-BGA12V108W0WW), DC line cord (Part# Cable-DC-382A1-01), and AC Line Cord (Part# 23844-00-00R). The ET50/ET55 marries the best of consumer-styling with all the enterprise-class features you need to increase workforce productivity, with a real business class return on your investment. 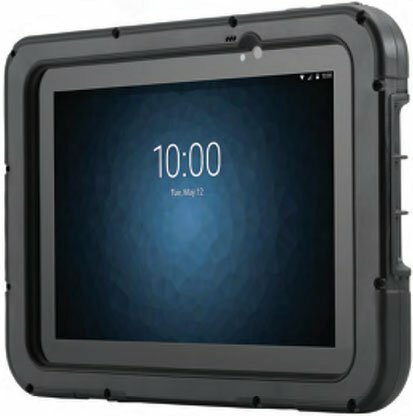 Your workers get the elegant personal tablet styling they want, while you get a rugged tablet designed to last for years, exceptional battery power, enterprise-class first-time every time rapid data capture "" from 1D and 2D barcodes, photos and NFC tags, plus enterprise-class security for your data and centralized manageability. 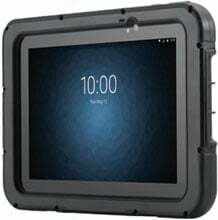 Whether your users are inside or outside the four walls, our comprehensive family of business accessories makes it easy to customize this tablet to meet the specific needs of just about any job. The Zebra ET55AE-W22E is also known as ZEB-ET55AEW22E	or ET55AEW22E	.